thomashunt.com: Dear Mr. President, what are you doing to California? Dear Mr. President, what are you doing to California? Dear Mr. President we seem to have a bit of a problem. Dear Mr. President we have a slight disagreement. Dear Mr. President, I don’t like how your agents are doing their job. I don’t like them busting up schools where people learn gardening. I don’t like them shutting down dispensaries while liquor and drug stores run rampant. Dear Mr. President, do you know what your DEA is doing? Dear Mr. President do you know that California pays more in taxes than it receives? 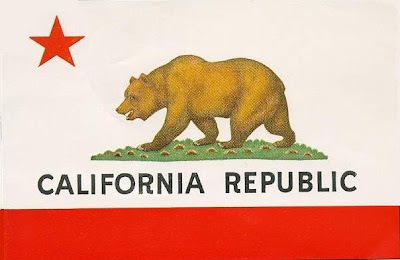 Dear Mr. President do you know that California has 55 votes in the electoral college? Dear Mr. President do you know that if an earthquake seperated California it would ruin the economy? Dear Mr. President why do you want to cause earthquakes? Dear Mr. President why won’t you leave California alone? Why won’t you let us live our own lives? Dear Mr. President why must you punish sick people? Dear Mr. President don’t you think they’re punished enough? Dear Mr. President why do you have to add to their punishment? Dear Mr. President I don’t think you’re really listening. I think if you were listening, you’d hear California crying. I think if you heard her crying you’d cry too. I had to write this cause Ginsberg was unavailable.